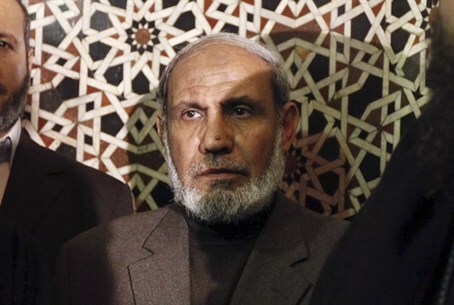 Senior Hamas leader Mahmoud Al-Zahar reveals that in 2000, former PA Chairman provided weapons for Hamas. Senior Hamas leader Mahmoud Al-Zahar recently revealed that in 2000, when former Palestinian Authority (PA) Chairman Yasser Arafat reached the conclusion that the Camp David negotiations were futile, he provided weapons for Hamas to carry out terrorist attacks. The comments were made in an interview with the Hamas-owned Al-Aqsa TV channel. The interview, which aired December 14, was translated by the Middle East Media Research Institute (MEMRI). “From the establishment of the Palestinian Authority in 1994 until 2000, we were subject to repeated arrests. You would get out of one prison and go into another,” al-Zahar said. “Then, [Arafat] reached the conclusion that the negotiations in Camp David were futile. He sent someone from the Preventive Security Force to Hamas, to Sheik Salah Shehade. The man said to Sheik Shehade: ‘We don't mind if Hamas carries out operations.’ When we discussed this, some of us said that these people [the PA] only wanted to expose our Unit 103, which was operating under the name of ‘Omar Al-Mukhtar,’ so that they could snitch on them. These were the people who were involved in the security cooperation with Israel,” he continued. “Others among us thought that we should take advantage of this opportunity, and carry out joint operations with [Fatah], or accept from them weapons that were known to be at their disposal, so that if they decided to snitch on us, they would be implicated as well. Al-Zahar’s comments follow those of Arafat’s widow, Suha, who admitted several years ago that her husband had decided long before former Israeli Prime Minister Ariel Sharon’s contentious visit to the Temple Mount that he would launch a war of terror against Israel. Sharon’s visit unleashed a wave of intense international condemnations and was widely, yet falsely, believed to have provided the impetus for the war of terror that was waged against the state of Israel. “Yasser Arafat had made a decision to launch the Intifada,” Suha told Dubai TV in an interview in 2012, also translated by MEMRI. In another instance, also uncovered by MEMRI, Arafat’s former bodyguard confirmed that the late PA chairman would lie when he condemned suicide bombings in Israel. The bodyguard revealed in an interview that after a suicide bombing in Israel, then-Egyptian President Hosni Mubarak would call Arafat and pressure him to condemn the attack. “Then Arafat would condemn the bombing in his own special way, saying: ‘I am against the killing of civilians.’ But that wasn’t true,” he said.